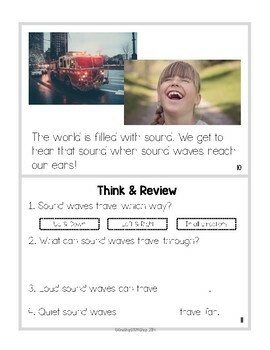 1st Grade NGSS Mini-Reader: How Sound Travels (1-PS4-1) +Review Questions & Key! Use this mini reader to reinforce vocabulary and important concepts essential to students' understanding of the Next Generation Science Standard 1-PS4-1. 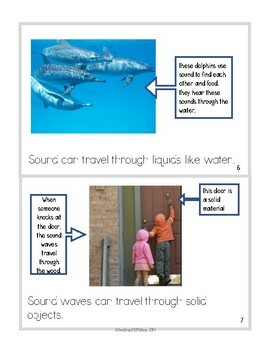 The reader is grade-level appropriate, integrated with 1st grade science topics to get them understanding sound as vibration, and is full of pictures and captions to explore. 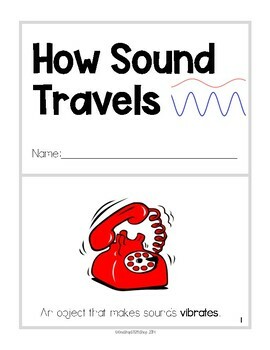 Students will learn about sound waves, how they originate, and what happens as sound waves travel to our ears through a variety of materials. The mini-reader is complete with think and review questions and an answer key is also included. As a bonus, a teacher reader, or higher-level reader is included. You can use this reader as a whole-group close read or as a more challenging text for your high readers. 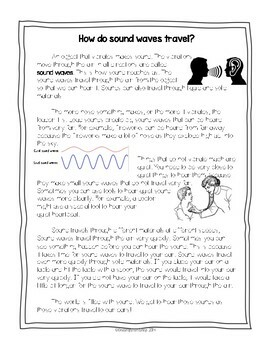 If you want to get your students REALLY engaged, find the hands-on NGSS aligned student investigation How Sound Travels that accompanies this reader in our store! We use this reader during our guided reading time to truly integrate our STEM instruction!